inspired By The Jazz Style Of The Roaring Twenties, The Fitzgerald Is The Kind Of Fan That Will Enliven The Decor Of Any Room. 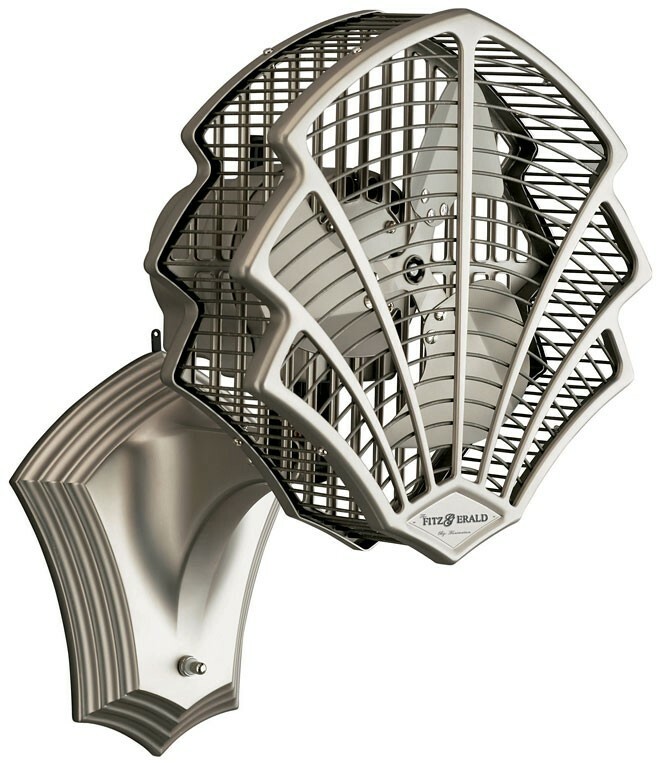 This Unique And Versatile Fan Has An Art Deco, Speakeasy Style With A Technologically Advanced Design. The Fitzgerald Is Masterfully Crafted To Function As Either A Table Top Or Wall Mounted Fan And Is Available In Oil-rubbed Bronze And Satin-nickel Finishes. The Fitzgerald Ships Fully Assembled With Protective Rubber Feet To Prevent Furniture Scratches Or Marks.